Offered starting at a very reasonable price for a 3-row midsize SUV, the new 2019 Subaru Ascent for sale in Montreal at the Subaru Montréal dealership near the West Island combines the performance, reliability and security that comes naturally thanks to the Subaru brand DNA for excellence. 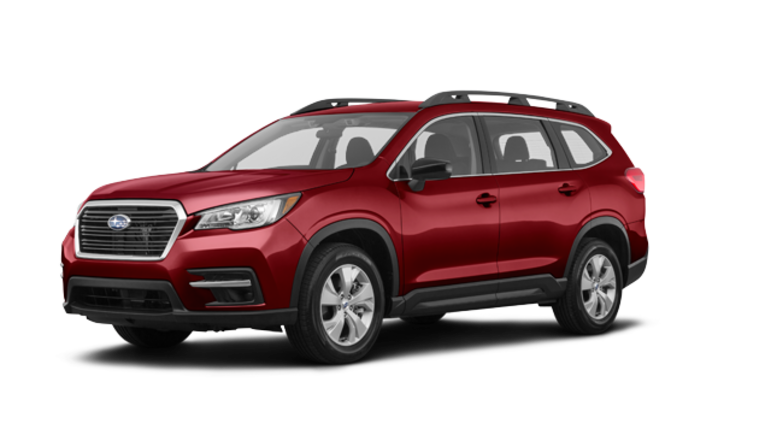 With a generous 220 mm ground clearance, sturdy frame, Subaru AWD, the new Ascent near Laval and the North Shore was made to exceed expectations, even under the harshest conditions. 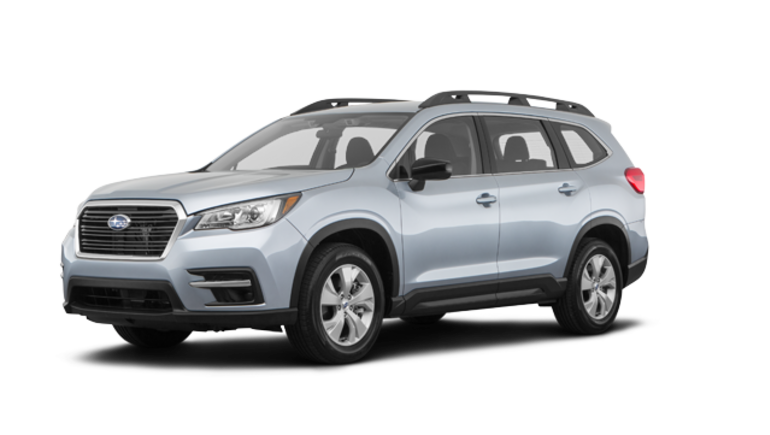 As well as being able to overcome all small and large obstacles it might encounter, the 2019 Ascent offers comfort and road handling that defies expectations. It will go anywhere and easily adapts to any road or weather conditions. The 2019 Subaru Ascent for sale in Montreal, not far from the West Island, is equipped with the new 2.4 L, 4-cylinder direct injection Boxer Subaru turbo engine that delivers 260 horsepower. This Boxer engine is combined with the CVT Lineartronic transmission for high torque (277 ft.-lb between 2000 and 4 800 rpm) which is capable of delivering acceleration, energy efficiency and improved towing capacity. 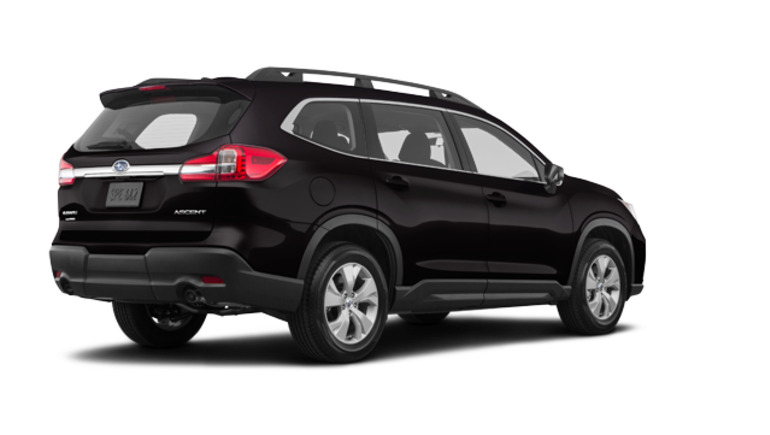 The new Ascent near Laval and the North Shore will consume as little as 11.6 L/100km in the city and 9.0L/100 km on the highway. Its Touring, Limited and Premier models can tow up to 2 270 kg (5 000 lb). When the third-row bench is up, the hatch opens to a 498 litre (17.6 cubic feet) load volume. When the second and third row seats are folded away, this volume is 2 435 litres (86 cubic feet). 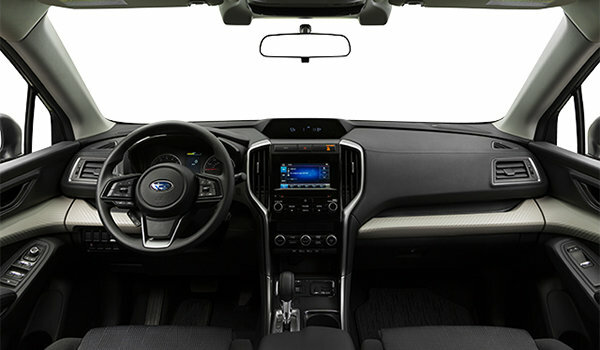 In the 8-seat model of the 2019 Subaru Ascent that is available in Montreal, near the West Island, the 60/40 benches in the second and third rows fold completely away. You can transport luggage and equipment of all kinds. 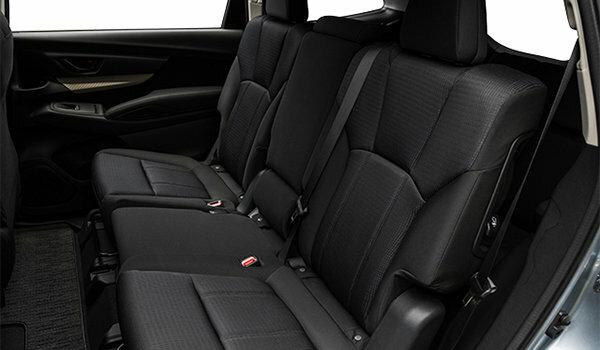 Skis, surfboards, gym bags, suitcases, toys or toolboxes will easily fit in there without decreasing passenger comfort. 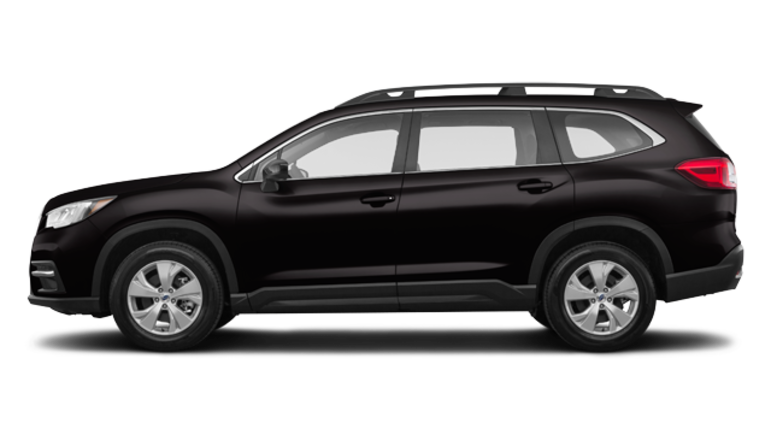 To make loading even easier, the opening has been squared off and all models come with standard roof racks and tie-down hooks. When you buy or lease your 2019 Ascent at Subaru Montréal, you can take advantage of generous offers that you can combine with Subaru promotions and the flexibility of the Subaru financing plans.